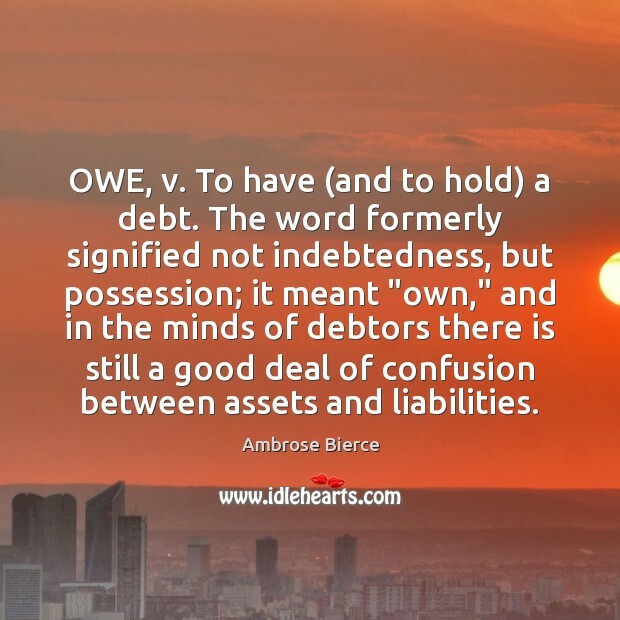 Quotations about Assets And Liabilities. Quotes to stimulate mind and drive action! Use the words and quote images to feed your brain inspiring things daily! 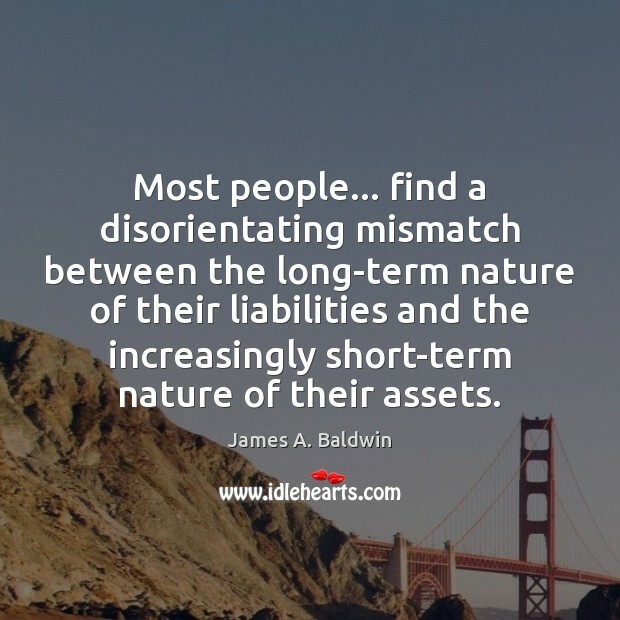 Most people... find a disorientating mismatch between the long-term nature of their liabilities and the increasingly short-term nature of their assets. Value investors will not invest in businesses that they cannot readily understand or ones they find excessively risky. 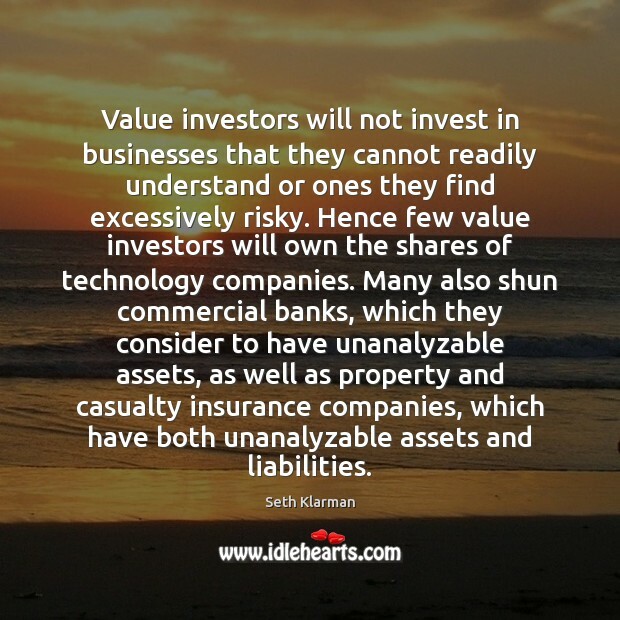 Hence few value investors will own the shares of technology companies. 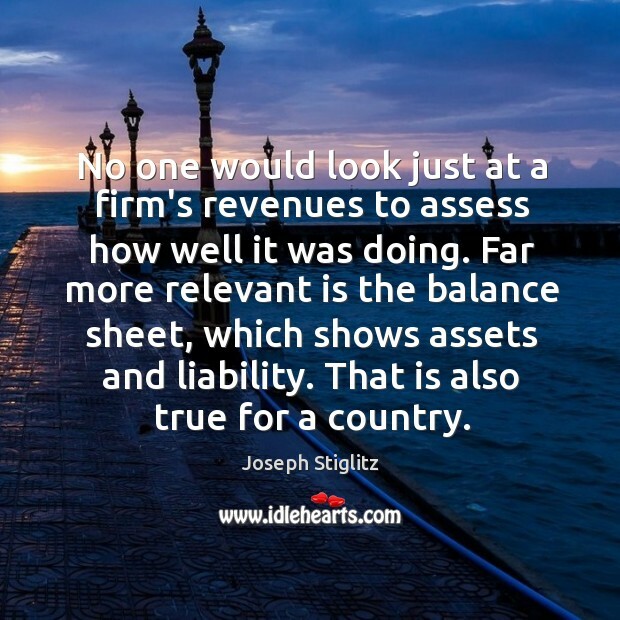 Many also shun commercial banks, which they consider to have unanalyzable assets, as well as property and casualty insurance companies, which have both unanalyzable assets and liabilities. It would be a very odd chancellor of any UK government that insisted on a course of action that cost their own businesses hundreds of millions of pounds, that blew a massive hole in their balance of payments and, because assets and liabilities go hand in hand, would potentially leave the rest of the UK shouldering the entirety of UK debt. Golf is the only-est sport. You're completely alone with every conceivable opportunity to defeat yourself. 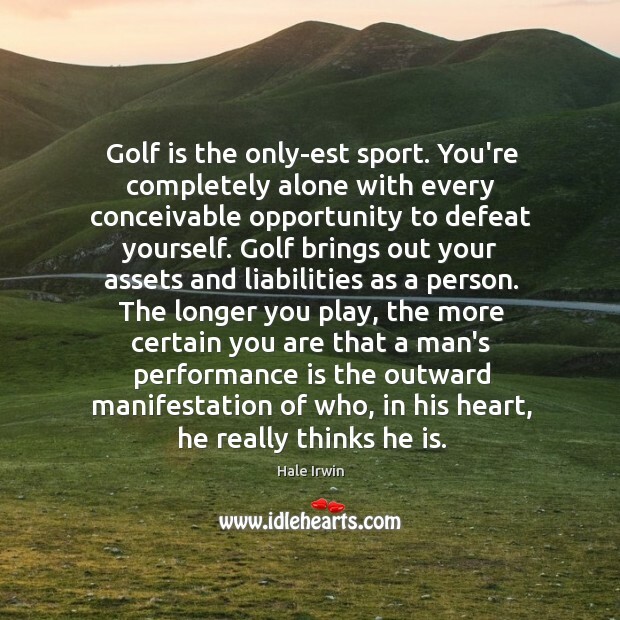 Golf brings out your assets and liabilities as a person. The longer you play, the more certain you are that a man's performance is the outward manifestation of who, in his heart, he really thinks he is.